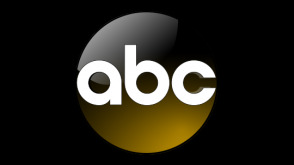 The American Broadcasting Company (ABC) is an American commercial broadcast television network that is owned by the Disney–ABC Television Group, a subsidiary of Disney Media Networks division of The Walt Disney Company. The network, part of the Big Three television networks, is headquartered on Columbus Avenue and West 66th Street in Manhattan, New York City. There are additional major offices and production facilities elsewhere in New York City, as well as in Los Angeles and Burbank, California. Golden State Warriors at Los Angeles Clippers in Game 4 of a Western Conference first-round series. From Staples Center.